The Princess Bride is a favorite in our home. 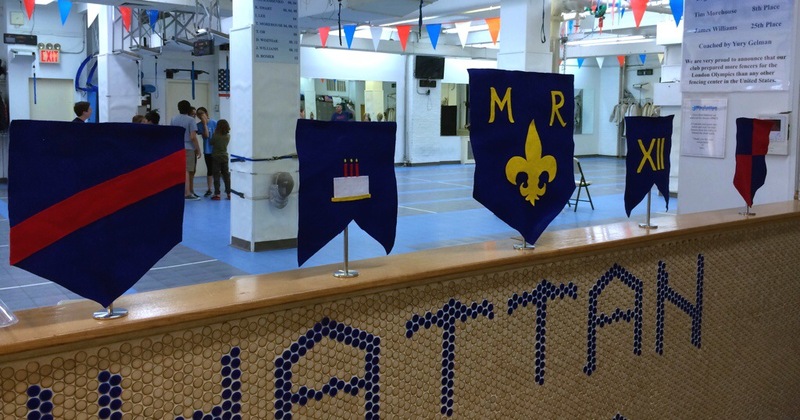 So what could be more fun than a Princess Bride themed party at Manhattan Fencing Center? I used tabletop sign holders to hold medieval birthday banners I made to decorate the entry way. For the table, I went with blue and gold. 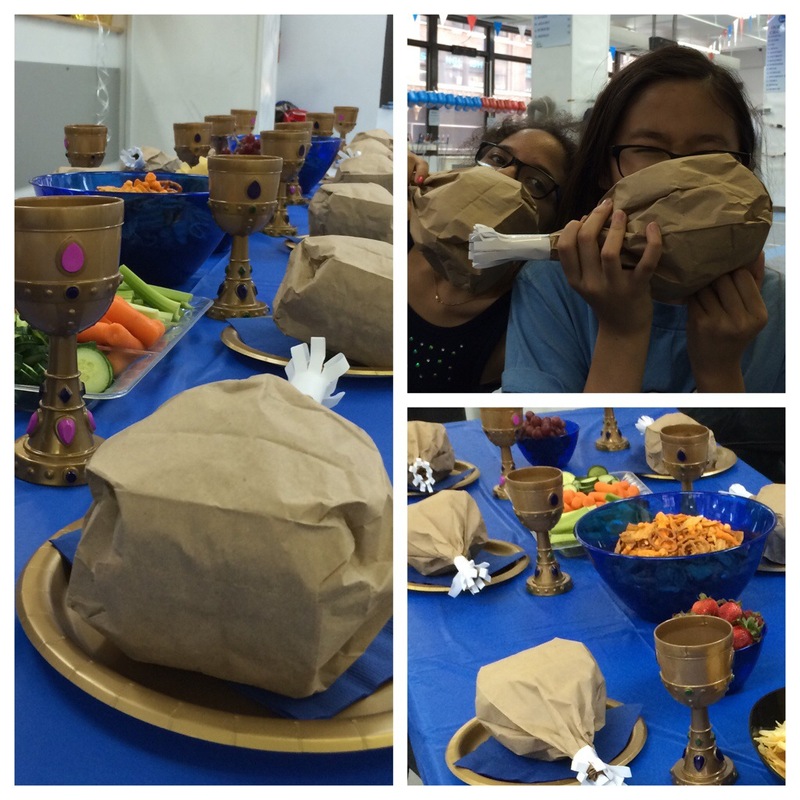 Each place setting had a goblet and a “turkey leg,” which was just a paper lunch bag filled with popcorn and closed with a paper frill. The activity was, of course, fencing. Coach Misha was fantastic and made it so much fun for everyone. After all the bouting, it was time for some homemade R.O.U.S. cake. It was red velvet with gray buttercream. For the goodie bags, they took home Iocane Powder (pixie stix in a glass vial), Miracle Max’s Miracle Pills (homemade chocolate-covered brownies) and circus peanuts (No More Rhymes…) in stamped cotton bags. It was a fantastic party and everyone left ready to fight the six-fingered man. 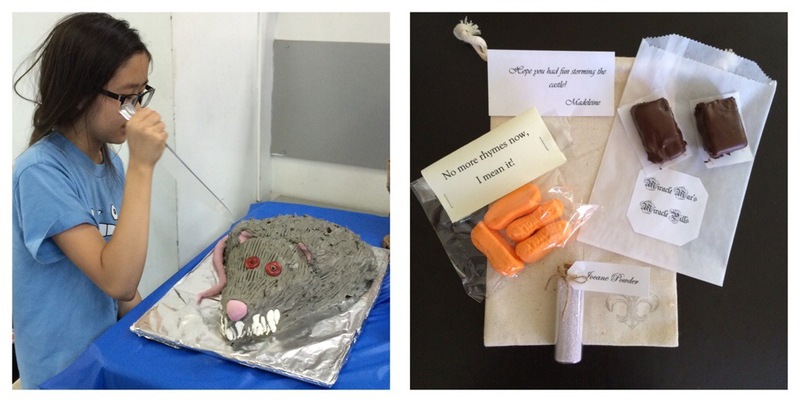 Disclaimer: We paid for the party ourselves and weren’t compensated in any way. 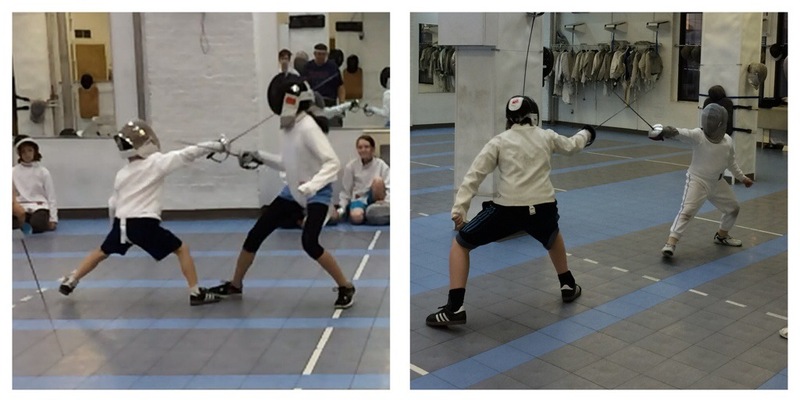 The kids just had so much fun with Coach Misha that we’d recommend Manhattan Fencing Center for a unique birthday party that the kids will really enjoy.